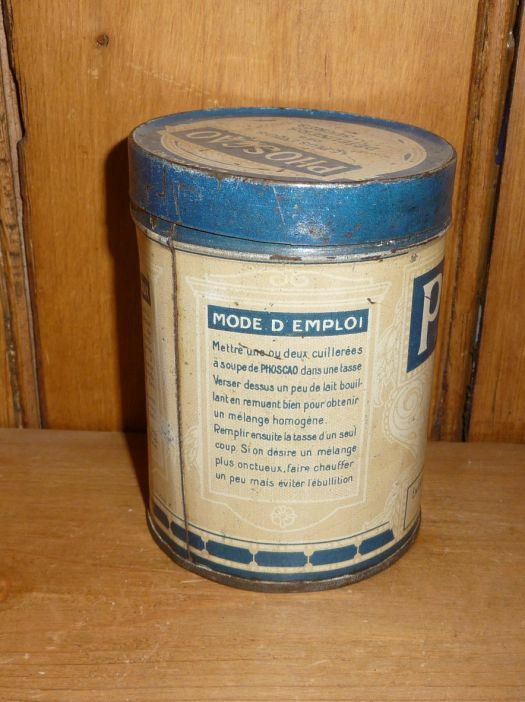 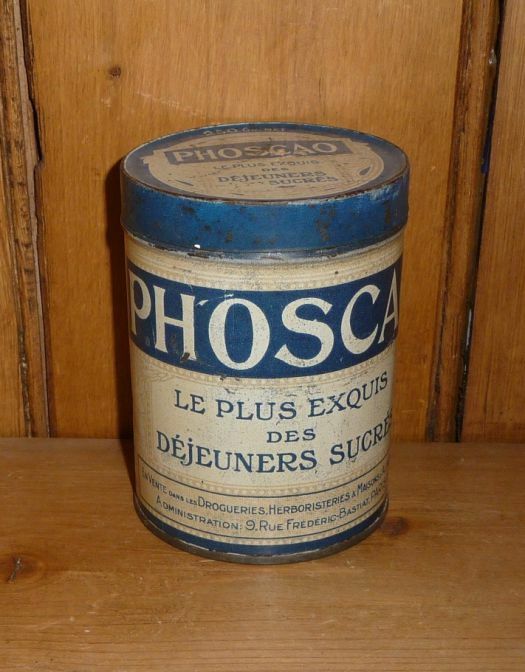 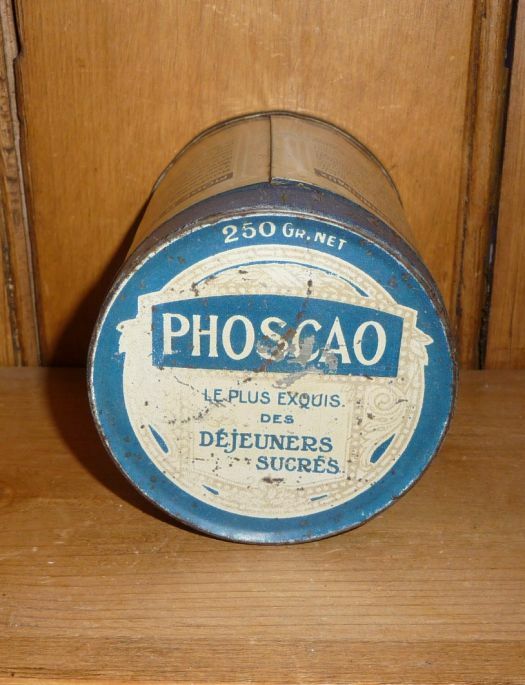 Small advertising tin box, Phoscao mark. 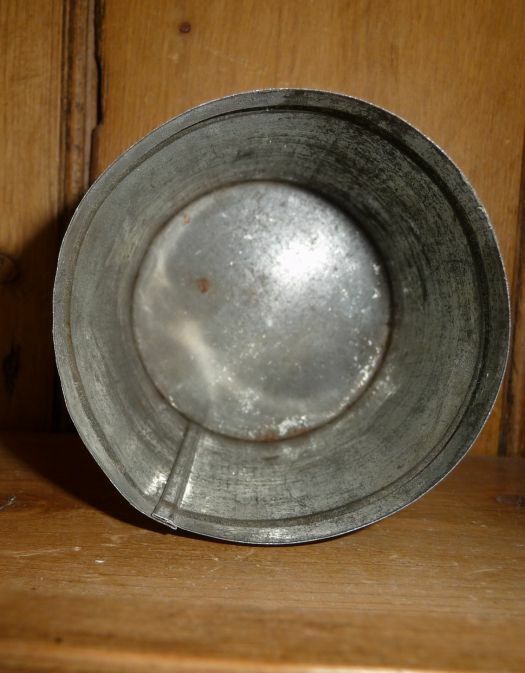 Condition is OK in spite of some discrete bumps and scratches on the lid. 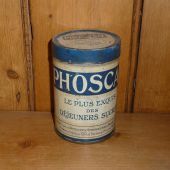 Height 10 cm ; diameter 7,5 cm.